Comments: Acceptable condition. Book Very Good. No dust jacket. No. 27. Halloween with Junie B. has got to be a scream! Get ready for a "Halloweenie" adventure with the world's funniest first grader! "Despite Junie B. 's ascent to the rigors of first grade, Park's feisty, funny heroine retains her trademark use of language, mirthful malapropisms, and essential larger-than-life personality." --"Kirkus Reviews "First grade offers a whole year of exciting possibilities for Junie B. . . . As always, Park is in touch with what kids know and how they feel." 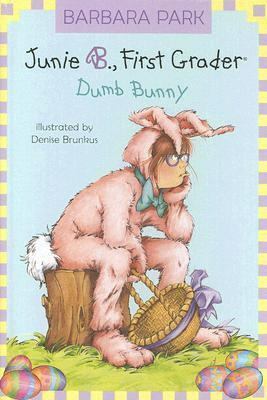 --"School Library Journal "From the Hardcover edition.Park, Barbara is the author of 'Dumb Bunny ', published 2007 under ISBN 9780375938092 and ISBN 0375938095.